Are Tesla Model 3 Deliveries Finally Ramping Up? Tesla deliveries for the Model 3 are ramping higher and one analyst increased his estimates by 50% for the quarter. There are plenty of questions surrounding Tesla Inc. (TSLA - Get Report) right now. Many are focusing on the company's Model 3 production -- and why shouldn't they? After all, the Model 3 was supposed to be the automaker's saving grace. A car that was priced for the masses and would drive Tesla into the land of profitability. Well, that plan is still a work in progress. Tesla has run into plenty of production headaches thus far. After expecting to produce 5,000 Model 3 units per week by the end of 2017, that goal is still being worked. Management is aiming to hit that mark within the next month. As for the Model 3 being for the masses? Well, Tesla's working on that part, too. Right now the automaker is (understandably) only producing the long-range Model 3, and is now taking orders for performance and all-wheel drive versions of the vehicle. All of these models cost considerably more than the original $35,000 base model of the Model 3. When it comes to the profitability portion of the argument, CEO Elon Musk said the company is still aiming for the third and fourth quarter. Bears will argue that, even if Tesla is profitable in Q3 and Q4, it will only be because of the long-range, performance and all-wheel drive sales of the Model 3. Once Tesla begins offering its base price Model 3, margins will erode, they say. That may be true. But on the plus side for now, production is going better and that's step one. Apparently, so too are deliveries. According to Keybanc analyst Brad Erickson, he checked with 20 U.S. Tesla sales centers, which is almost 20% of the company's total. There's a "meaningful ramp" in deliveries, he said in a recent note, with deliveries tracking about 50% higher than his previous estimates for the quarter. 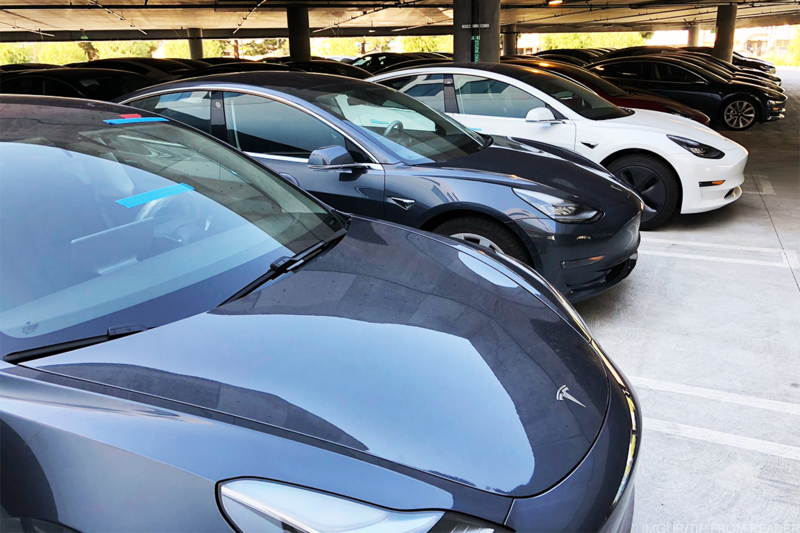 Based on these findings, Erickson gave a significant boost to his second-quarter deliveries estimate, now expecting 30,000 Model 3s vs. 20,000 Model 3s for the quarter. If broken down by week, this comes out to about 2,500 units per week. However, remember that at the start of the quarter, Tesla was producing about 2,000 Model 3 units per week and had several planned stoppages throughout the quarter to make improvements. Just so you have the number in front of you, producing 5,000 Model 3s per week for a full quarter would come out to 60,000 vehicles. For Erickson's part, he took his full-year Model 3 deliveries estimate from 98,182 to 118,182, an increase of 20,000 units. Erickson also notes that the bear case is weakening, but acknowledged that there's still a lot of premium priced into Tesla stock. As a result, he maintains his sector weight rating on the name. From what it appears, production of the high-margin Model 3 units are picking up pace and that's good news for Tesla's short-term picture and goal to be profitable in the third and fourth quarters. However, it will be tougher sledding for the automaker when it introduces the lower-priced base Model 3, which according the company's recent annual shareholders meeting, should come in early 2019. Until then, though, a short squeeze surely seems to be in play with Tesla stock up almost 4% Tuesday to $345.